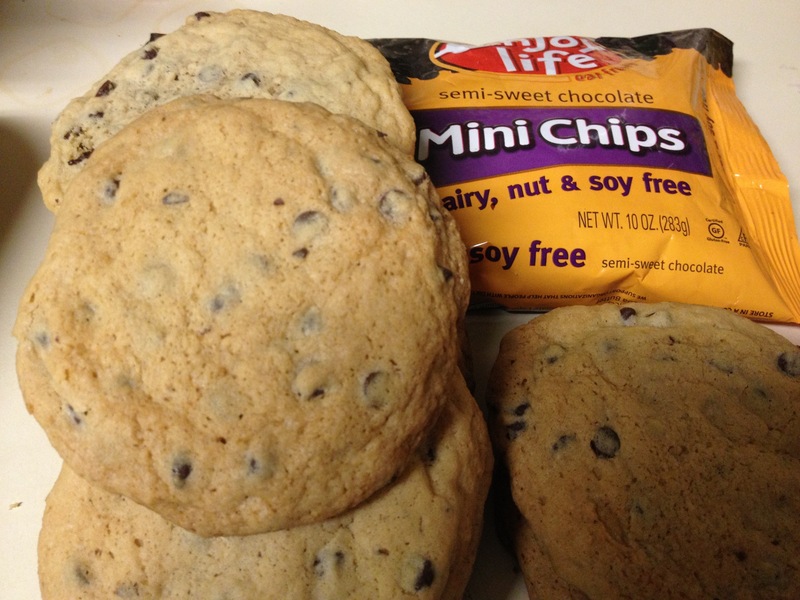 I got this recipe off of the back of the Enjoy Life Brand chocolate chips! If you have been following this blog, you know that I love the products from Enjoy Life and recommend them for those who have food allergy issues. 1 bag of Enjoy Chocolate Chips! 1. Preheat to 375 degrees. 2. Cream butter and add sugars, egg, vanilla and water. 3. Mix together flour and all other dry ingredients in a separate bowl. 4. Slowly add the dry mixture to the wet and beat until combined. I use a stainless steel scoop and dropped 9 cookies evenly spaced (2-3 inches apart) and I use parchment paper so I have less clean up. Bake for about 8 mins and remove to cool on a cooling rack. Final step- EAT THEM ALL! Recently I ordered some gluten free all purpose flour from Azure Standard. This was a new brand for me, Gluten Free Mama- Almond Blend. They make a coconut blend that I also intend to try later on. 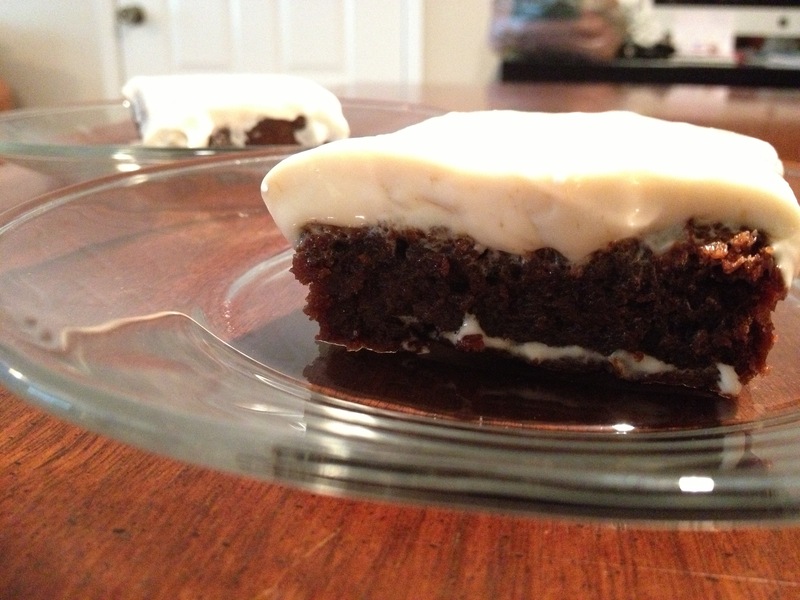 To try out this flour I decided to make Pumpkin Brownies from the Gluten Free Mama web page. These brownies are super moist and have an almost pudding like center even when totally cooked. The texture is not of a typical brownie at all so don’t don’t expect a chewy cake consistency. These were simple to make and delicious. Preheat oven to 350°. Lightly grease and flour 8×8 inch cake pan. Using a double boiler, slowly melt chocolate chips and butter. Meanwhile, in a small bowl combine flour, salt, baking powder, cinnamon and xanthan gum. In large bowl, combine pumpkin puree, sugars and vanilla. Mix well. Pour melted chocolate mixture into bowl. Mix well. Slowly add flour mixture until combined. Mix well. Spread batter into pan. Bake for 40-45 minutes or until toothpick inserted in center comes out clean. Cool completely. Remove brownies from pan by placing a plate over the top of pan and flipping the pan upside down. Then place a serving plate on the top of the brownies and flip again to have brownies right side up. In a mixing bowl, beat the cream cheese, powdered sugar and vanilla until combined. Add 1 tablespoon of milk at a time until frosting reaches a spreadable and creamy consistency. Spread frosting generously over top of brownies. Cut into squares and serve. 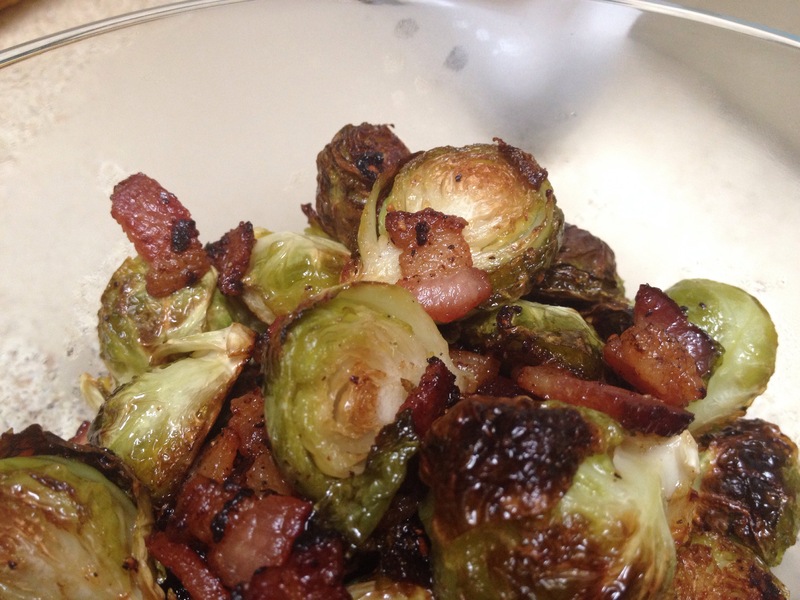 To view the Gluten Free Mama web page and this amazing recipe click here!